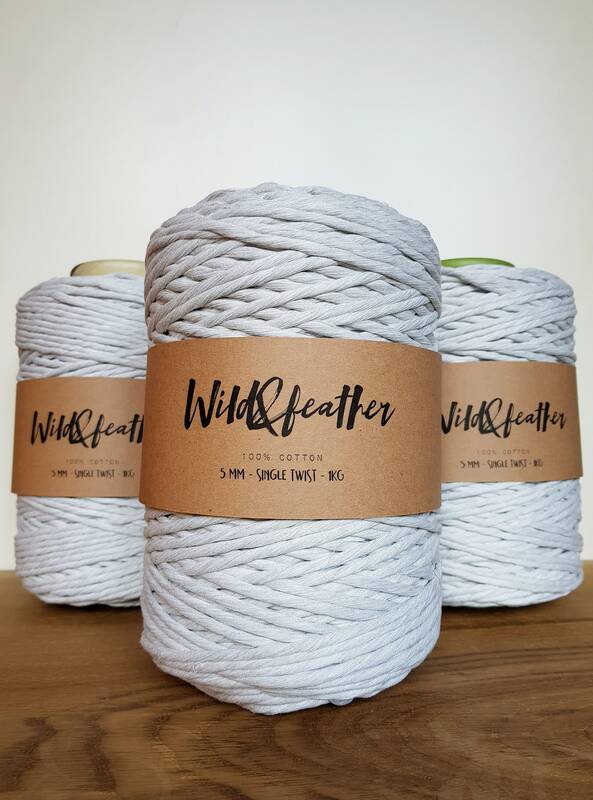 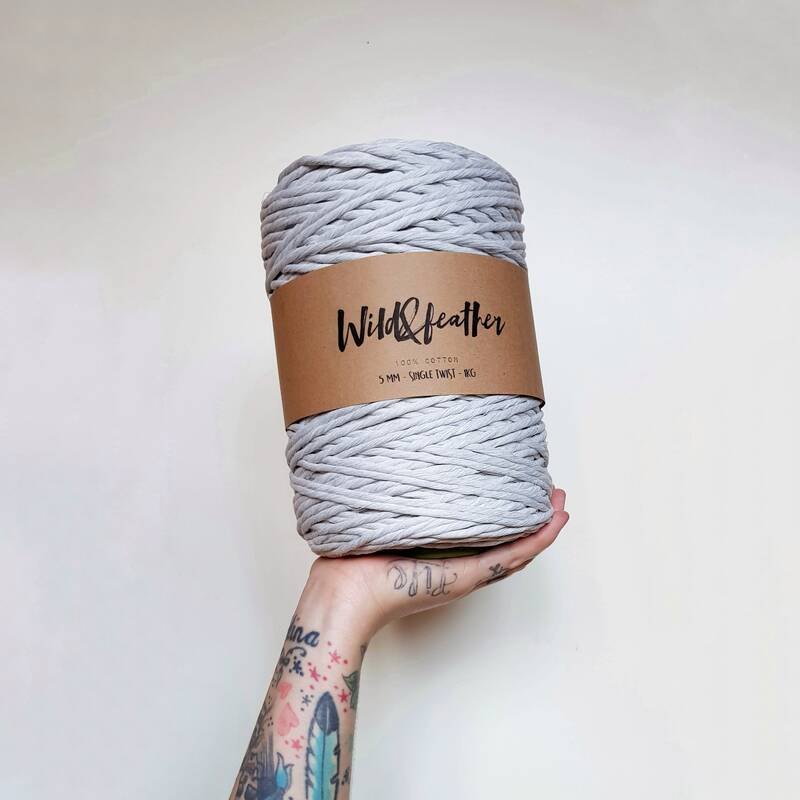 This listing is for 1 spool of 5mm super soft cotton string (1kg) in a bright mist grey color. 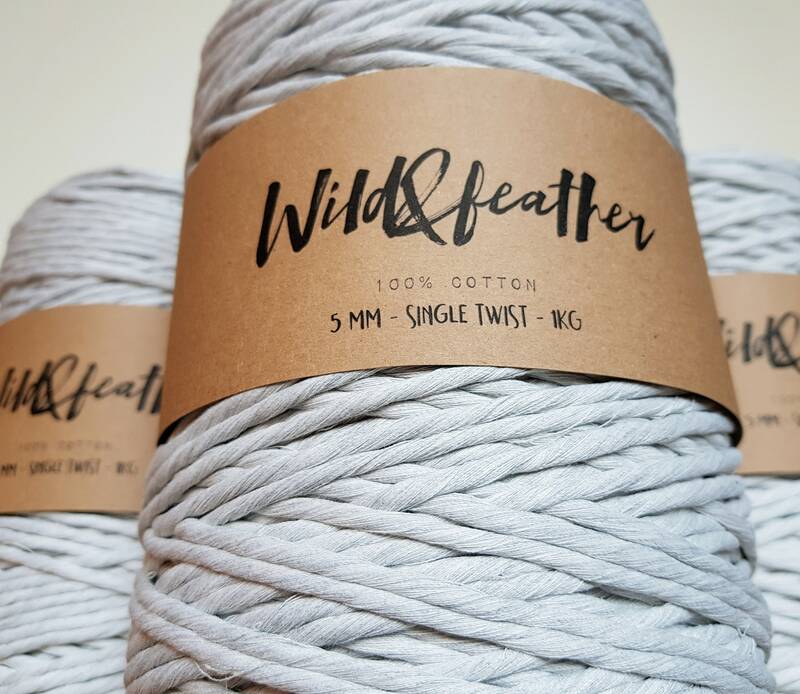 It is single twisted, which means that it's soft to work with as well as it's smooth and easy to brush out to get the perfect fringe. 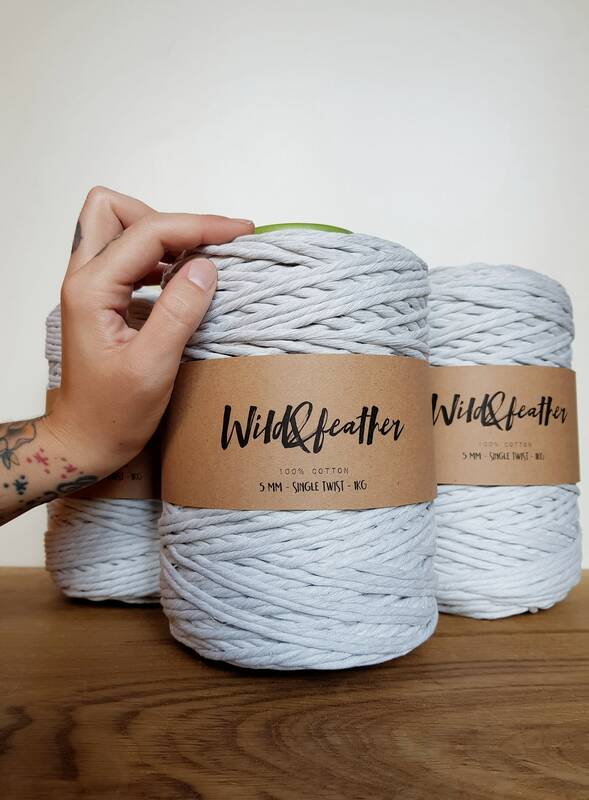 It holds together perfectly during the knotting, and it'll be kind on your fingers while you work with it.